Google rolled out it’s much talked about product i.e, DUO (video calling app). The users are excited, and the initial reviews for the product are quite encouraging and are on the anticipated lines. 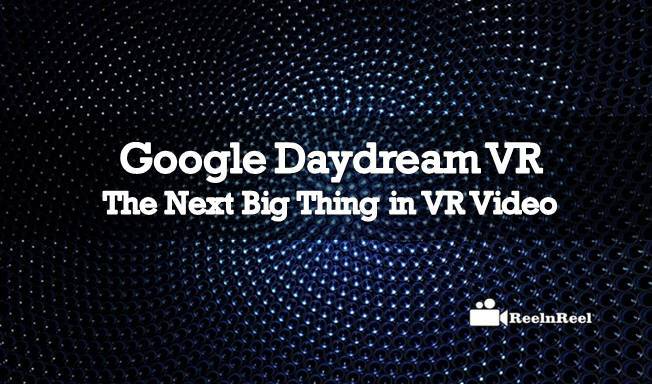 Now people, as well as marketers, are anxiously looking forward to Google DayDream VR. Though Google went public announcing the launch of this yet another exciting product way back in May this year, the product became available only during the fag end of August 2016. As there are huge expectations that VR (virtual reality) is going to be the next big thing in the fields of media and entertainments, huge investments are happening in both software and hardware. One of the milestones in this journey is Google Daydream VR. The components of this program are going to be games & apps, shooting 360-degree videos, licensing sports leagues etc. Despite the promise becoming a reality, there is a lot of journeys still pending regarding VR-compliant headsets (it may note here that the initial launch is for Android 7.0 Nougat OS). It is believed and reported earlier that names like Samsung, HTC, Huawei, Xiaomi, ZTE, Asus, Alcatel, LG have huge plans to support VR regarding smartphones. VR is having names like Samsung, FB already playing an active role and now Google also joined the bandwagon creating much heat in the sector. As other players are lagging much behind, Google is planning to launch its hardware & software platform – i.e., Daydream to help any Android smartphone manufacturer create a VR headset themselves. This can be a guiding principle as Google can extend similar facility for other platforms as well in coming months. Google in partnership with Android is planning to launch a high-end smartphone + new version of Android with a dedicated VR mode. Lightweight headset & accompanying motion controller (designed by Google itself) and this can be a starting point for the big journey towards VR on the large and commercial scale. Google already gained expertise in VR through its Cardboard, and it can further improvise it to give the viewers the best of VR experience. What exact Google wants to deliver is “the best smartphone-based mobile VR experience to the viewers”. As Google, the launcher of Daydream, is having high expectations and the lot more hardware suppliers are trying to place their hats in the fray. this segment is going to witness the high level of activity, and we can expect that VR is going to be the next big thing in this field.